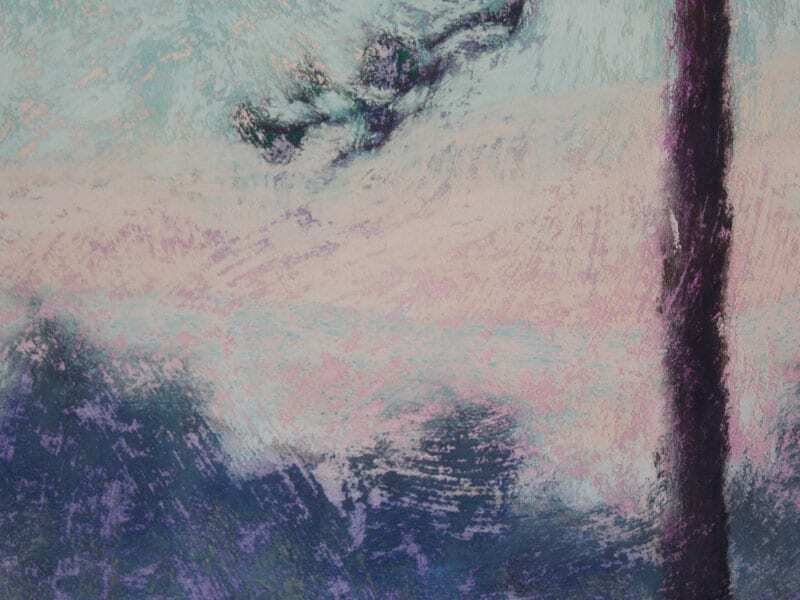 In this painting, the pine that stands sentinel along the path is straight and tall. Its lower branches undulate toward the light and it seems to point my way forward. I love the strata in the background, a low cloud bank creeping upward, blue, then pink, then blue again. A mist rises in front of a dark band of pines, silhouetted against the brightening sky. 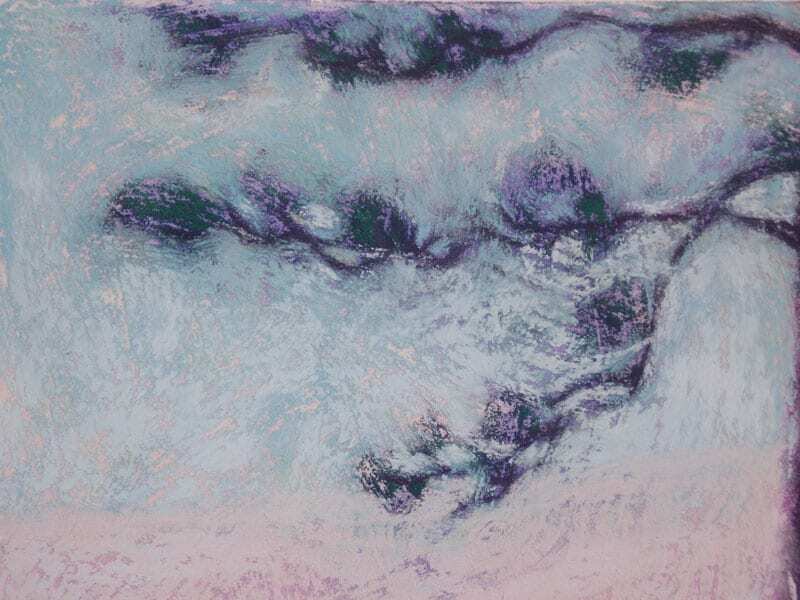 Walk This Way, 9×6″ pastel on gessoed mat board by Marie Marfia. 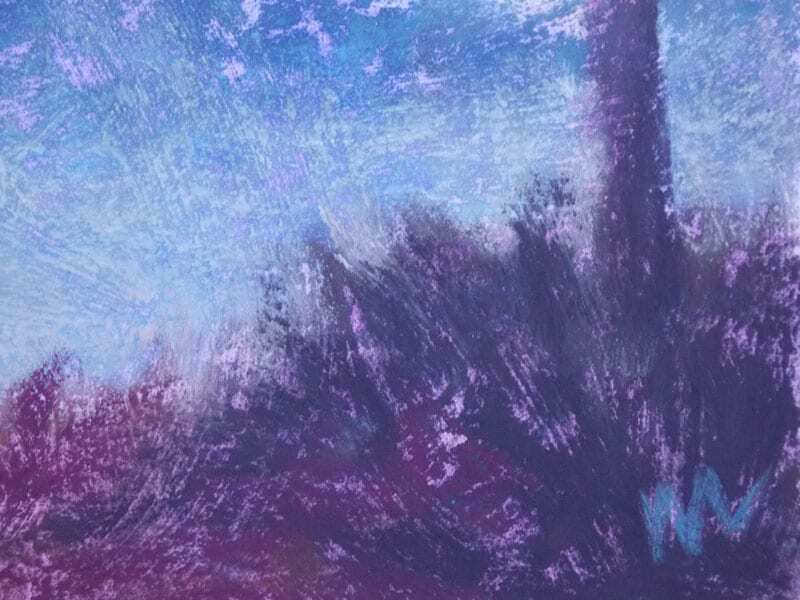 Walk This Way, detail, 9×6″ pastel on gessoed mat board by Marie Marfia. This is number 5 in my 30 Landscapes in 30 Days series. Have you signed up for my weekly newsletter Bone Appetit? It’s a compilation of the best of my blog plus insights into my creative process and it’s delivered right to your inbox every week! Just fill in your email address on the right. Bonus, you’ll receive a free wallpaper! See to it! 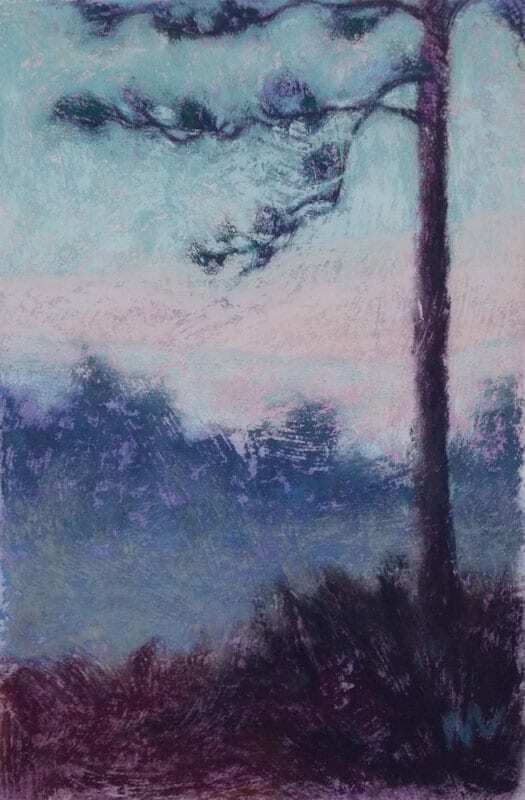 This entry was posted in A pastel a day, Landscape, Pastels, Woods scape and tagged landscape, lone, morning, pastel, pine on November 13, 2015 by Marie Marfia.